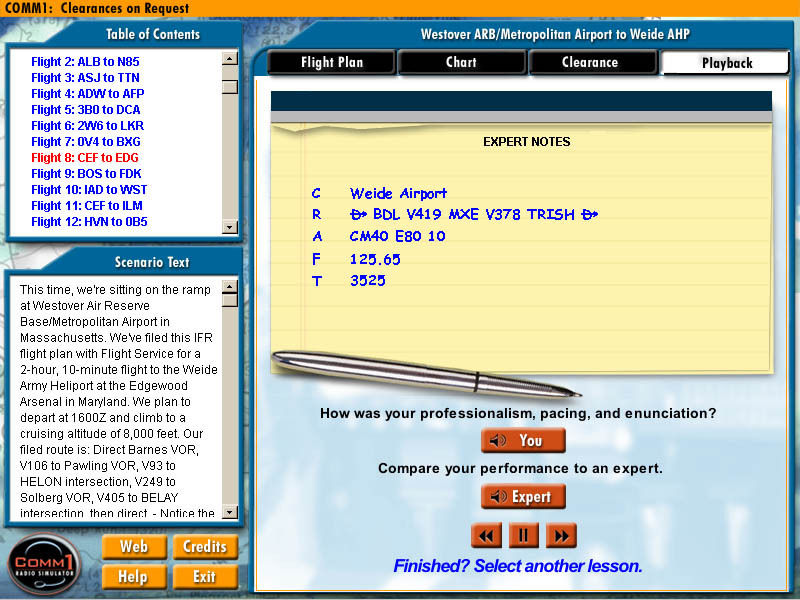 Review your route, then choose and request your clearance in over 100 practice scenarios. 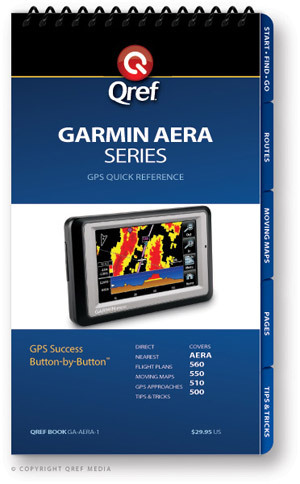 Master IFR departure clearances in over 10 hours of comprehensive two-way radio training. Detailed, informative briefings from instrument training expert Russ Lawton cover what to say, when, and why. Test your newfound knowledge in realistic exchanges: Review the Flight plan and charts, then choose and request your clearance from the Clearance Delivery Controller. Extensive practice scenarios: 100 clearances to master! Expand your knowledge of the ATC system and improve copy/readback techniques. Every exercise offers helpful audio feedback and examples of expert copy techniques. 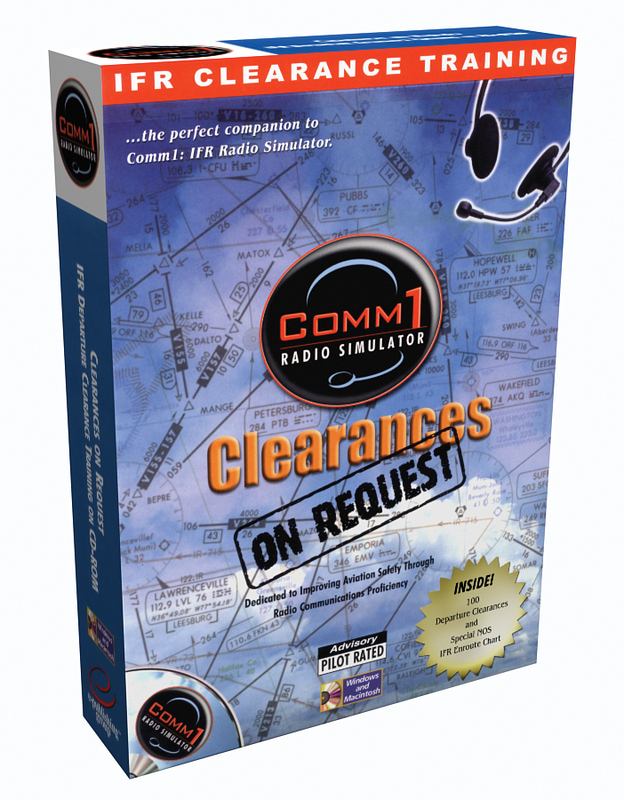 The program offers a series of 100 practice clearances. 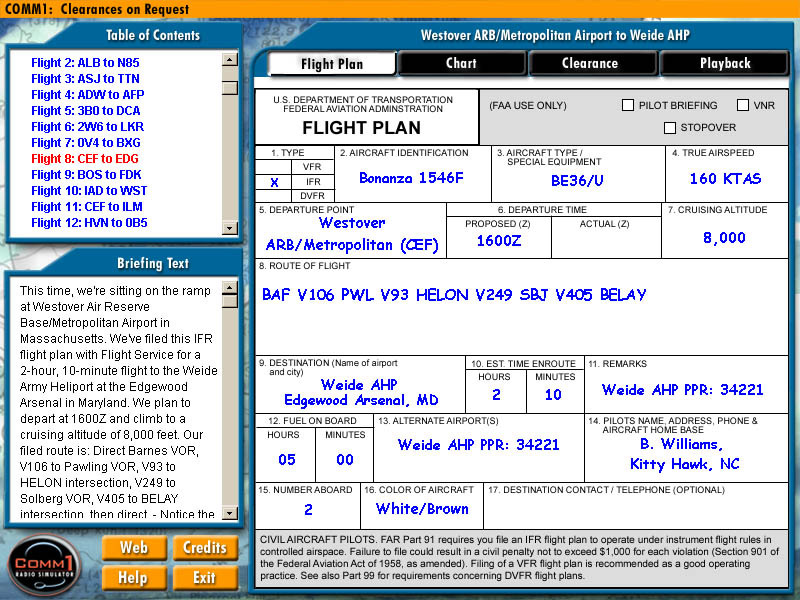 You get a Flight plan for each exercise, complete with a planned routing. You review the route on the included NOS Low Altitude Enroute Chart and then call up the Clearance Delivery controller (or Flight Service specialist, or Ground Control, etc.) to request the clearance. Then you copy the clearance (using the techniques learned in the briefings) and read it back to the controller, just like in the cockpit. If you miss the clearance, the controller can be asked to "say again". At the conclusion of the exercise, you get a chance to review your performance and hear how an expert would have read the clearance back, as well as see the expert's notes. 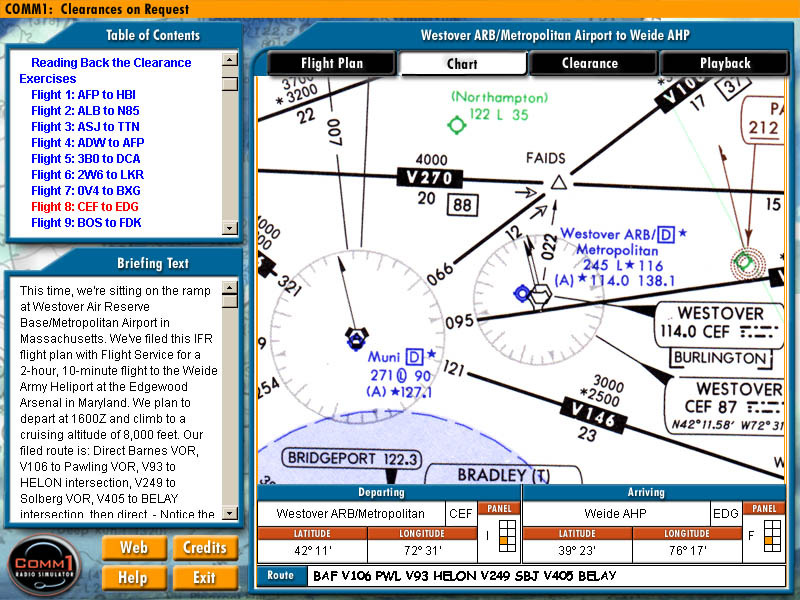 Trace each route of Flight using the special NOS Low Altitude Enroute Charts included with COMM1: Clearances on Request. 100 clearances to choose from; practice as often as you like, at your own pace!